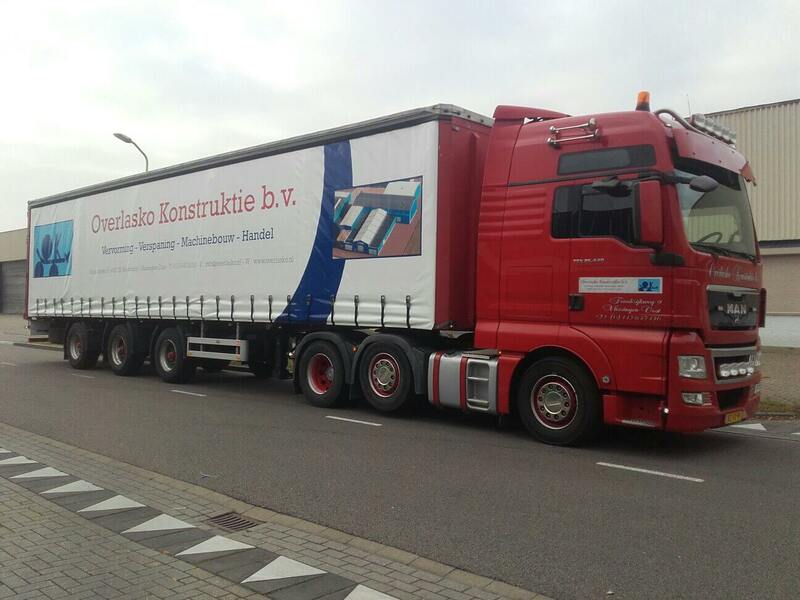 Overlasko Konstruktie has its own transport department. This makes it possible to deliver products directly after finishing at location requested by our clients. Truck MAN TGX 41.680 8X4/4 BBS. 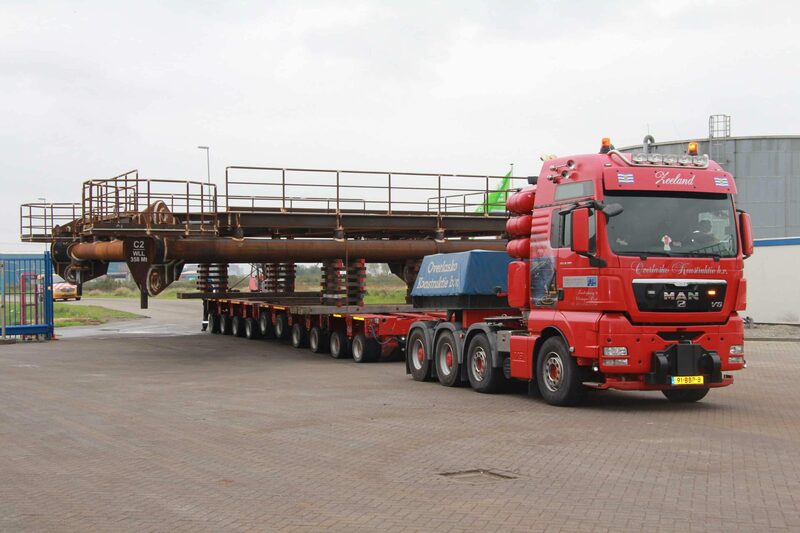 Together with our heavy-duty modular trailer (16 axis) we can transport constructions up to 300T. The modules can be split to make possible transport of long constructions. There are several configurations possible, to make suitable the modular trailer for each job. We also make transport for other companies, if they need license we are required for this, we have the possibility to arrange it completely for you.